This single serve brownie is only 200 calories and low in fat! It’s a perfectly decadent tasting dessert, but the oil is swapped for Greek yogurt. 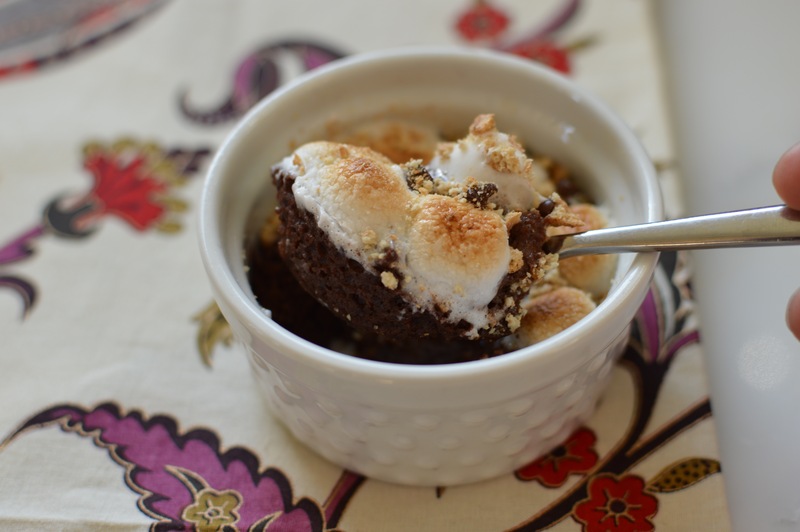 The brownie is awesome on its own, but the marshmallow graham cracker topping takes it to another level! 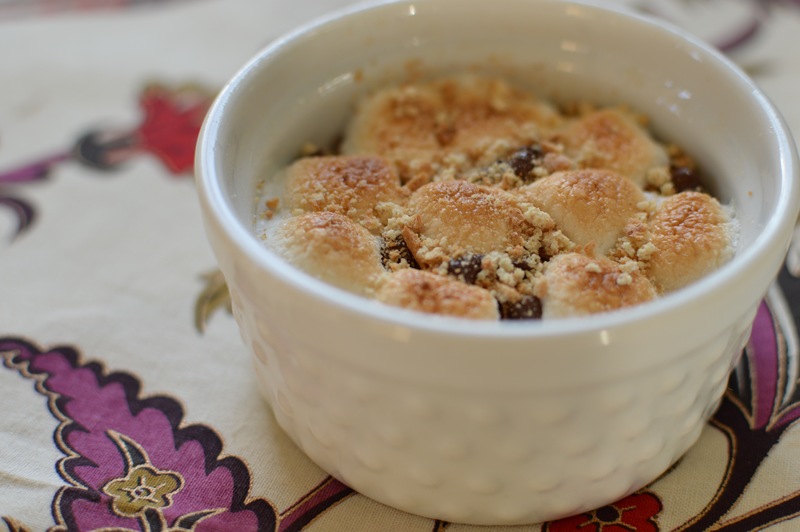 Single serving desserts are awesome if you struggle with portion control. Instead of having a whole pan of brownies staring at you from the kitchen, you make just one very special brownie to savor. I find that baking it gives it a nice fudgy texture, but you could make it in the microwave for faster prep time. 2. Mix together brownie mix, yogurt, water, and egg white in a small bowl. Transfer the batter to a ramekin greased with cooking spray. 3. Bake for 20 minutes. 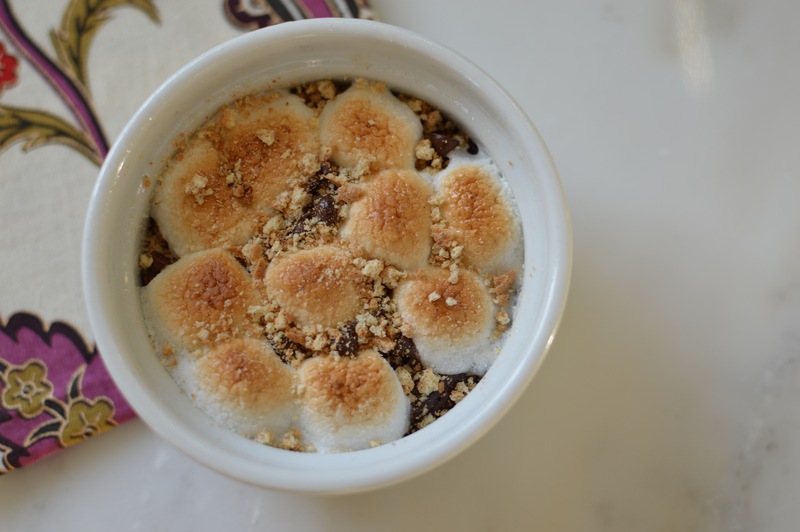 Top with marshmallows and graham crackers and broil until the marshmallows begin to brown, about 2-3 minutes. To prepare in the microwave, cook for 1 minute, then at 10 second intervals until the batter is just barely set. Do not overcook! Enjoy! It’s awesome :) for my macro counting friends: 28g carb, 4g fat, 1g pro, 1g fiber. I used Ghiradelli Triple Chocolate brownie mix for these calculations.